Cuppow is designed specifically for wide-mouth canning jars (aka Mason jars), turning them into portable travel mugs. In working in an environment where I'm required to have a lid on my drink, this is the best thing I've run into so far. My job is busy and I talk most of the time. So I needed something that held a lot of water or juice and can be taken on the go. When you turn the jar slightly to the side there's no leakage which is what I was looking for. I use these a lot. 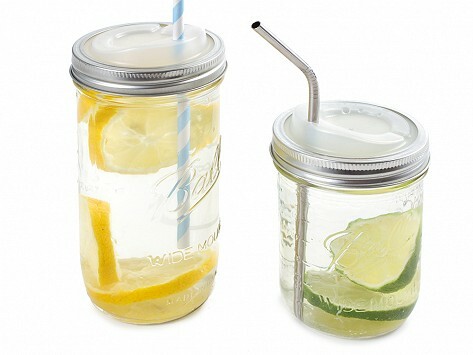 These provide yet another use for mason jars. Ingenious!!! I am a candlemaker and have tons of widemouth mason jars. This makes a perfect cup for my car cup holder that won't spill. This is a great invention!!!! Mason jars make great drinking glasses. They’re inexpensive, durable, heat-resistant, and recyclable, plus they’ve got a casual, nostalgic vibe that adds to the appeal. But the spill factor makes it tough to use a Mason jar on the go. After a few too many spills in the car, Joshua Resnikoff starting thinking there must be a way to make a Mason jar more travel friendly. 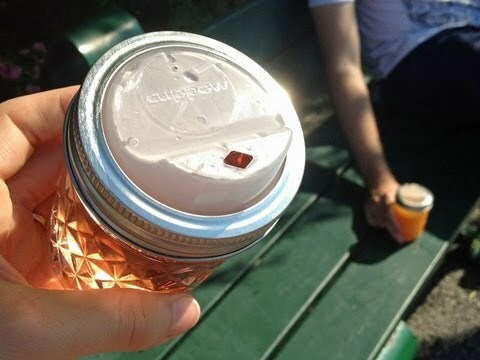 He teamed with his friend Aaron Panone, a mechanical engineer, and together they created Cuppow, a BPA-free plastic lid that turns an ordinary Mason jar into a travel mug. Cuppow is designed for both large and regular mouth Mason or canning jars. The dishwasher-safe lid fits underneath the screw-on ring that comes with a canning jar. Cuppow does all its design, development, packaging, and manufacturing in Massachusetts, where Joshua and Aaron tapped a team of fellow entrepreneurs at Fringe, a business incubator and coworking space in Somerville. It’s a community effort, with universal drinking appeal.